SORRY to pop everyone's dream bubble: San Miguel won't participate in the 2018 Fiba Asia Champions Cup in Thailand. No less than San Miguel Corp. sports director Alfrancis Chua shed light on the issue, shutting down the news of the Beermen's potential participation in the continental club team tournament. "I haven't heard from anyone from Fiba," the outspoken executive said when Spin.ph sought his comment. "If that's from Fiba, they should approach (SBP president) Al Panlilio and the PBA. But on our side, we haven't heard anything." 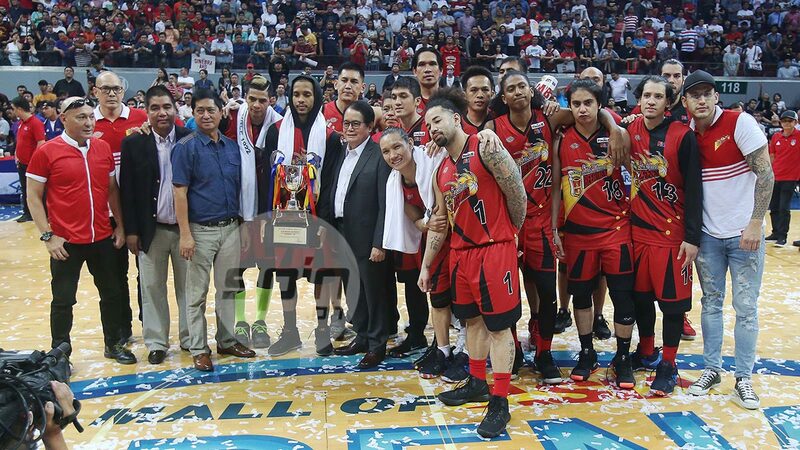 Fiba included 2018 PBA Philippine Cup champions San Miguel Beermen in the eight-team tournament set in Nonthaburi, Thailand from September 25 to 30. However, Chua said the stint is not possible for the simple reason that the 2018 PBA Governors' Cup is still ongoing. "May liga tayo eh," he quipped. Under the current league schedule, San Miguel is set to meet Magnolia on September 30 at Smart Araneta Coliseum. San Miguel Alab Pilipinas team owner Charlie Dy also denied that his squad will see action in the tourney. The ASEAN Basketball League (ABL) side has yet to complete its roster for the 2018-19 season, he added. "It's not us. And I know there's a qualifier for the teams before they can participate there. Being champions in the ABL doesn't necessarily merit a spot (in the Champions Cup)," he said. The last time the PBA sent a team to the tournament was in 2007, when San Miguel-Magnolia, made up stars from the league, finished fourth place in Tehran. Chooks-to-Go Pilipinas, bannered by Isaiah Austin, Kiefer Ravena, and Jeron Teng, was the country's representative in last year's edition of the said competition.